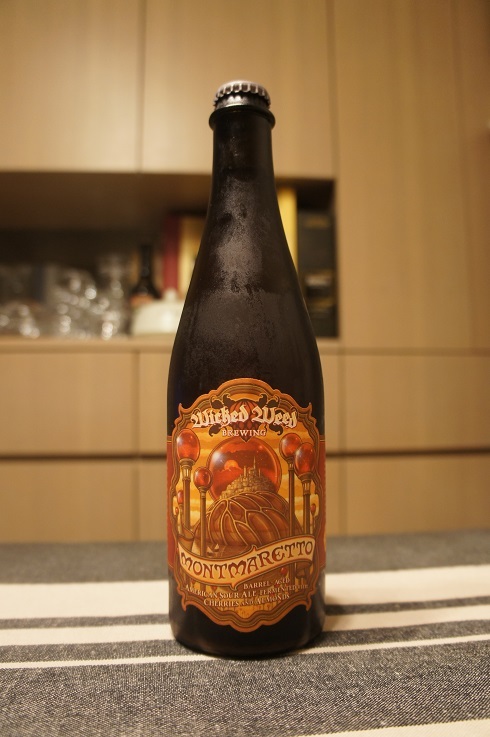 Brewer Description: (from bottle) Montmaretto was aged in neutral wine barrels where it undergoes a secondary fermentation on a pound per gallon of cherries. 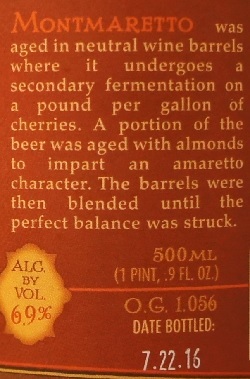 A portion of the beer was aged with almonds to impart an amaretto character. The barrels were then blended until the perfect balance was struck. The fortress Montmaretto floated, neutral, while the realm tore itself apart below. The tribes of Aspro and Amaro sprung on one another in a cataclysm of violence never before imagined. Queen Almendra chose insular peace above the fray, remaining aloof from her vantage point atop the Great Floating Lake. Almendra’s sentries kept vigil through cherry orbs that scanned the sandswept, sun-soaked cobblestone streets, thwarting would-be spies and colluders’ attempts to breach the fortress. 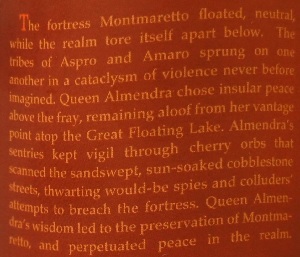 Queen Almendra’s wisdom led to the preservation of Montmaretto, and perpetuated peace in the realm. Intro: A 500ml bottle, bottled on 22nd July 2016. Poured into a Lost Abbey teku glass. Appearance: A lightly hazy pinkish orange colour with a one finger white head that dissipated quickly and left pretty much no lacing. Aroma: Candied cherry, almonds, biscotti, oak and just a hint of funk. Taste: It’s what you expect from the aroma with lightly sour cherry, almond, biscotti, marzipan and oak. 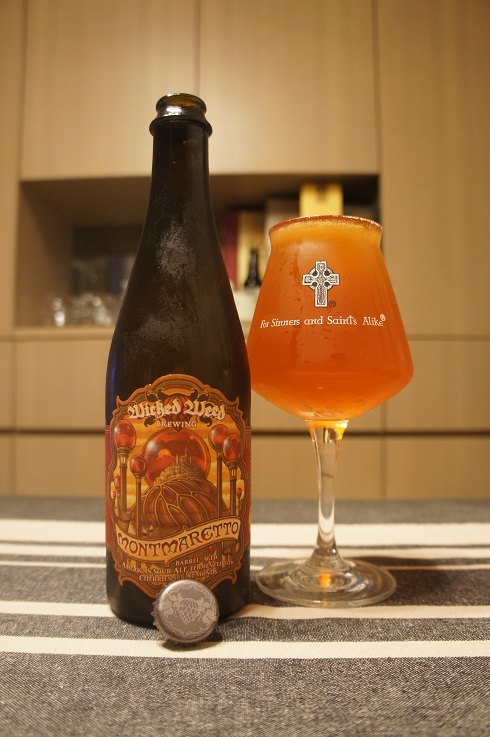 Overall: Aromas were nice albeit a bit weak. 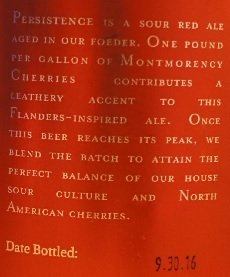 Taste was very nice as the cherries and almonds go well together and make for some easy drinking beer. 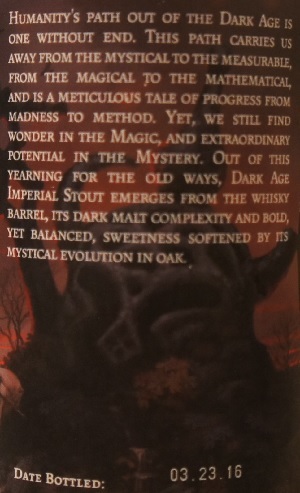 Brewer Description: (from bottle) Humanity’s path out of the Dark Age is one without end. This path carries us away from the mystical to the measurable, from the magical to the mathematical, and is a meticulous tale of progress from madness to method. Yet, we still find wonder in the Magic, and extraordinary potential in the Mystery. Out of this yearning for the old ways, Dark Age Imperial Stout emerges from the whisky barrel, its dark malt complexity and bold, yet balanced, sweetness softened by its mystical evolution in oak. Intro: A 12.7 fl oz bottle, bottled on 23rd March 2016. Poured into a snifter. Appearance: A nice dark dark brown colour with a one finger mocha head that dissipates fairly quickly while leaving some nice lacing. 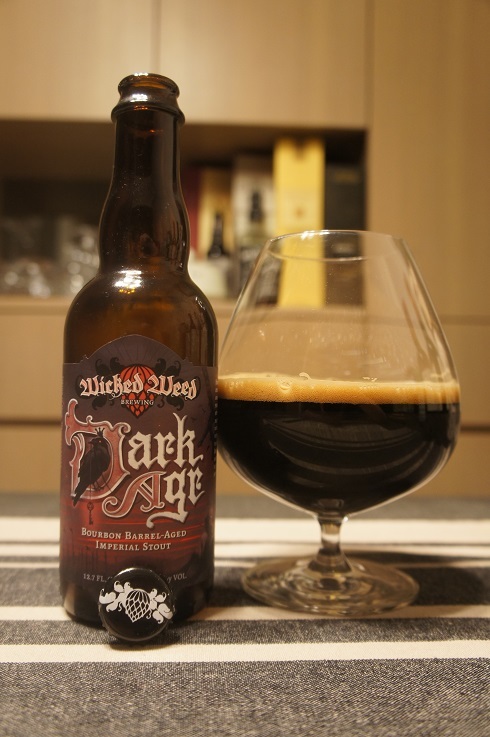 Aroma: Chocolate, cocoa, dark fruit plum and raisins, bourbon, oak with hints of vanilla. Taste: Bourbon and sharp raisin and cherry sweetness, followed by bittersweet dark chocolate, caramel and licorice. Overall: This was a nice, easy sipper. The sharp twang of raisin and cherry in the taste mixed with the bourbon was a welcome surprise. The only mini negative was the mouthfeel which could have greater body and a slightly lower carbonation. 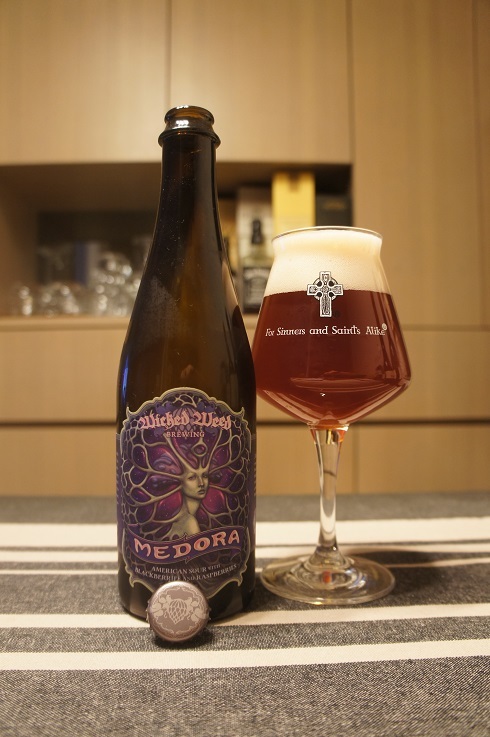 Brewer Description: (from bottle) Medora is a blonde sour ale aged in red wine barrels with one pound of blackberries and raspberries per gallon. 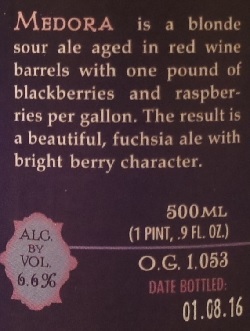 The result is a beautiful, fuchsia ale with bright berry character. 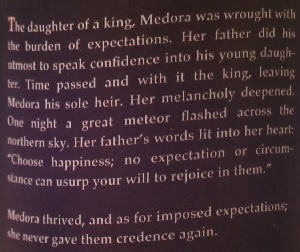 The daughter of a king, Medora was wrought with the burden of expectations. Her father did his utmost to speak confidence into his young daughter. Time passed and with it the king, leaving Medora his sole heir. Her melancholy deepened. One night a great meteor flashed across the northern sky. Her father’s words lit into her heart: “Choose happiness; no expectation or circumstance can usurp your will to rejoice in them.” Medora thrived, and as for imposed expectations; she never gave them credence again. Intro: A 500ml bottle, bottled on 8th January 2016. Poured into a Lost Abbey teku glass. Appearance: A cloudy raspberry red colour with a two finger off white head that had good retention and left nice sticky lacing. 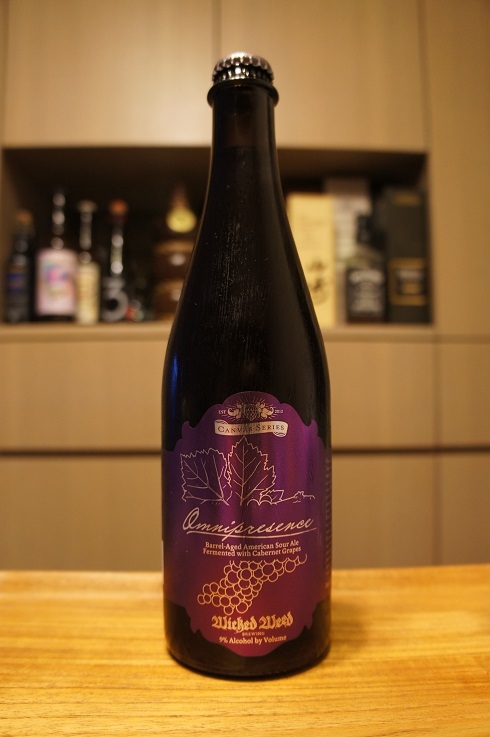 Aroma: Red wine gum berry candy, vinous, oak, earthiness and a light funk. Taste: Very lightly sour, raspberries, mixed berries, vinous, oak and slightly funky. 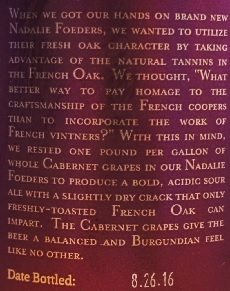 Mouthfeel: Medium to light bodied with moderate carbonation and a dry-ish finish. 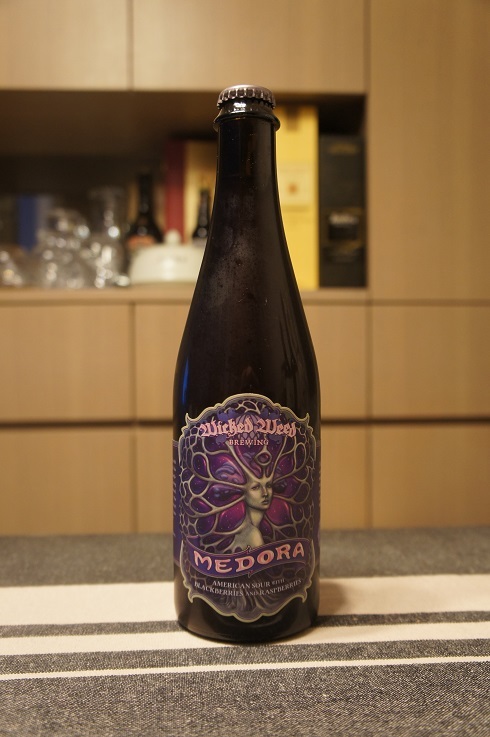 Overall: I tend to enjoy these berry flavoured Wild Ales and this was no different. 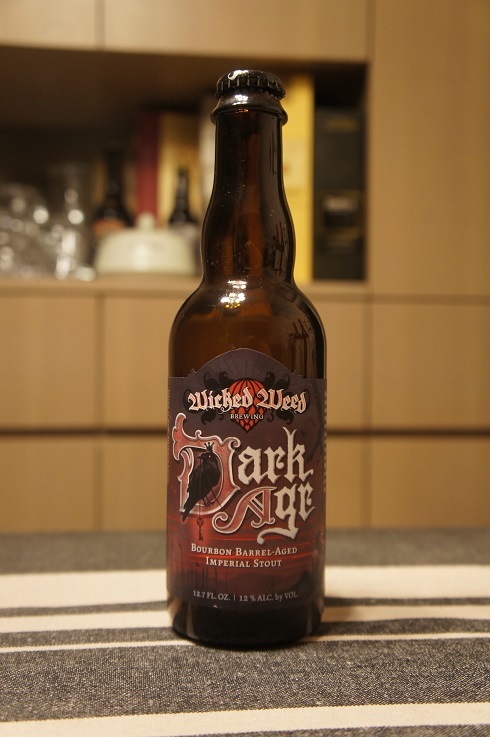 It was surprisingly not very sour at all, but the oak barrel character in the aroma and taste was quite strong. Definitely enjoyable.